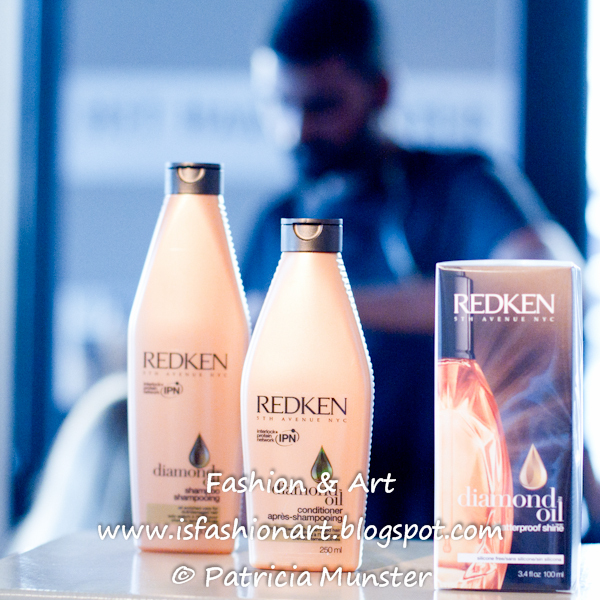 At Vogue's pop up store in Amsterdam as part of Fashion's Night Out Redken presented its new serie of Diamond Oil. 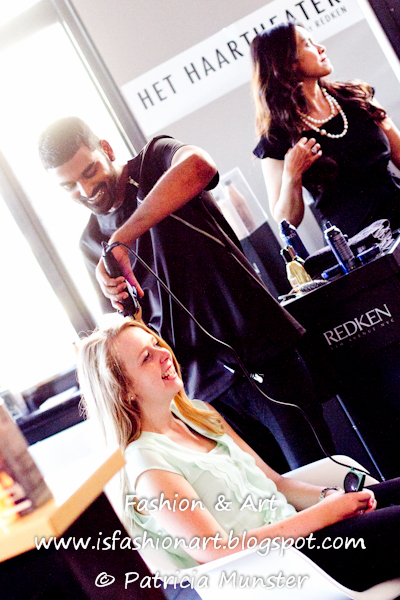 Each visitor had the opportunity to be styled by the hairdressers of Het haartheater with products of Diamond Oil. Diamond Oil utilizes an exclusive formula of silicone free hair oils that include camelina oil, coriander oil, apricot oil, olive oil, jojoba oil, coconut oil and other to strengthen hair from the inside-out. 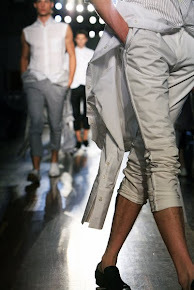 Results are unprecedented strength and shine. Through Redken’s exclusive Interlock Protein Network and multi-faceted Shine Strong Complex, Diamond Oil delivers a nourishing blend of coriander, camelina and apricot oils that target all layers of the hair to strengthen, replenish and protect with each use. Hair is fortified and sparkles with intense shine.